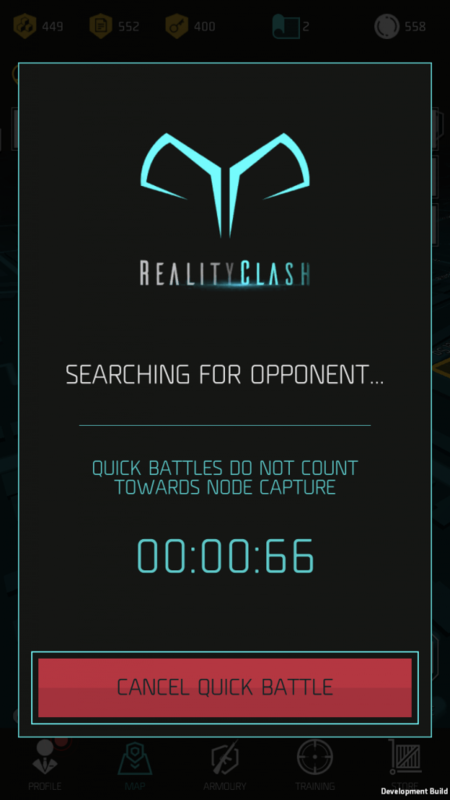 Testing is underway on the new ‘Quick Battle’ system which allows players to challenge other human players regardless of the distance between them. 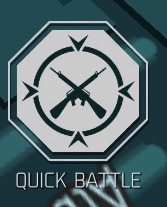 This will allow people in less active areas to try their skills against other human players rather than just bots. Going forward, this will also allow for other competitive elements of the game so we suggest you start training now. We’re looking forward to challenging some of you to combat! 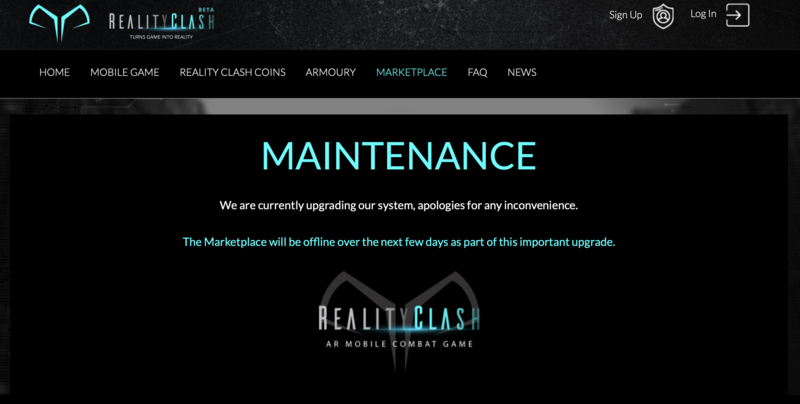 We are hugely excited to be launching Reality Clash in the UK next month and we’ve been preparing marketing campaigns in relation to this. The game will then be released to additional regions, such as North America, in the following months. If you don’t have access to the game yet, fear not – it is coming! In this month’s diary we are also looking at the latest updates to our Trading Platform, the tokenised assets within it and how we are preparing for an exciting future. 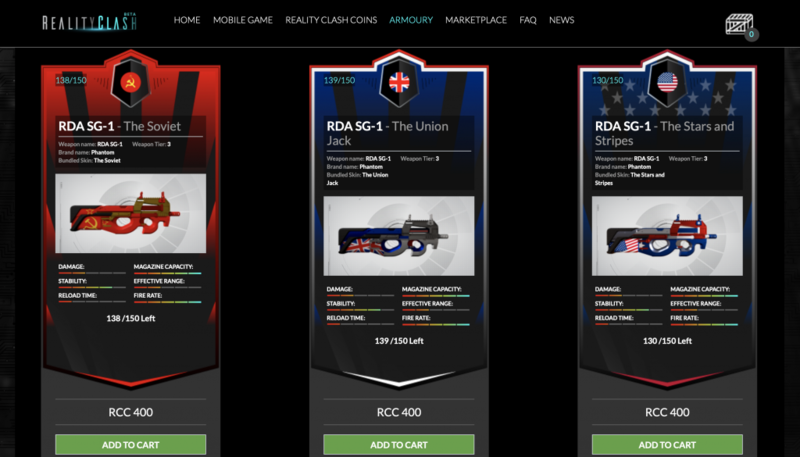 As many readers are aware, the Reality Clash Coin (RCC) is our utility token, used by traders at the Armoury and Marketplace to buy or sell limited edition skinned weaponry. This weaponry is not only beautifully rendered for use in the mobile game, but is also tokenised as a digital asset on the Ethereum blockchain. Currently these weapons are tokenised as ERC20 tokens but over the next few days, we’ll be updating all of the existing (and future) assets to an ERC721 standard. And so, the non-fungible ERC721 ‘RC GUN’ token will be brought into existence! This change to tokenisation will allow us to enable more features for our weapon token holders. The assets will be better suited to interoperability with 3rd party asset exchanges, alternative platforms and other blockchain games. This will greatly benefit our current holders and bring more users to the Trading Platform. Owners will be able to list their weapons on 3rd party exchanges which will bring more exposure for the project and new revenue for traders. The ability to show these items on other platforms will increase exposure further. We believe the changes will add value to the tokenised assets and is part of a natural evolution for us as we continue to develop our Trading Platform – and as part of the evolution of the blockchain games industry. Users may not notice any immediate change as part of this upgrade, but will notice new features when ‘Version 2.0’ of the website is launched and as we continue to develop throughout 2019. As always, stay tuned to the newsletter or our social media for more updates!